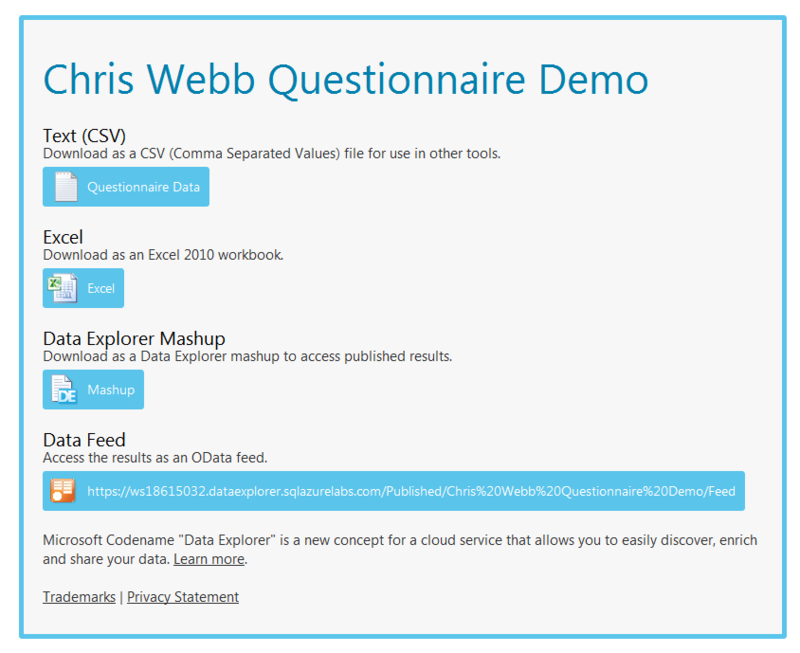 You may have already seen that the labs release of Data Explorer is now publicly available; there’s a whole load of really useful resources available on the learning page too if you’re interested in finding out more about it. I’ve been very lucky to have had early access to Data Explorer, and to test it out I put together a simple demo using the cloud service that shows off a typical use-case. 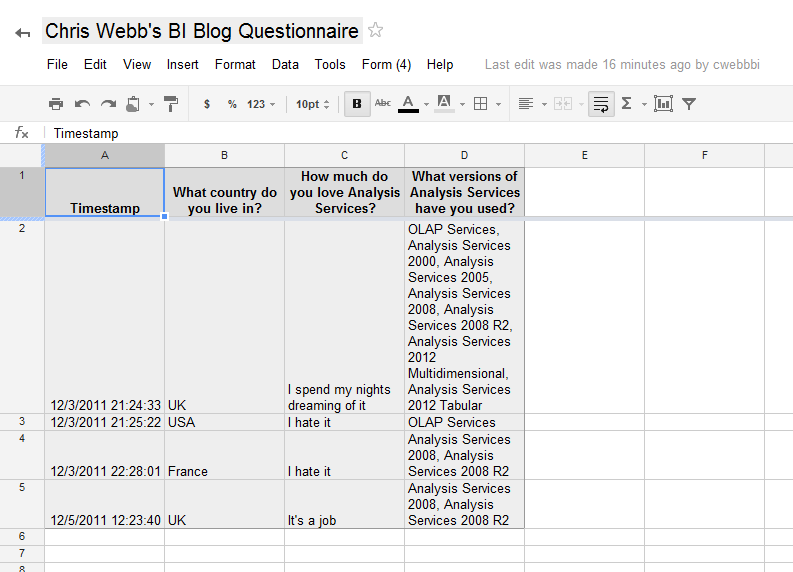 If you filled in the questionnaire you should be able to find your responses in there because it’s a live feed. I’m looking forward to seeing the data come flooding in! 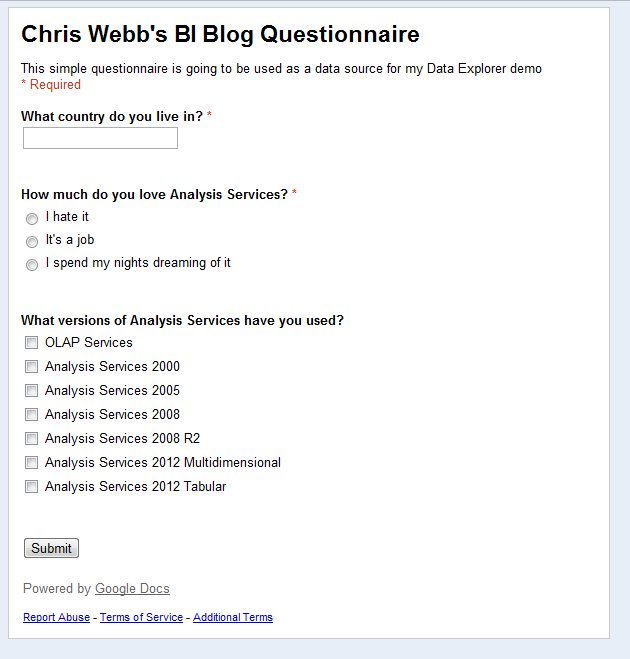 Liking the dig about an Excel web app api. Keep plugging away, they’ll cave in eventually. 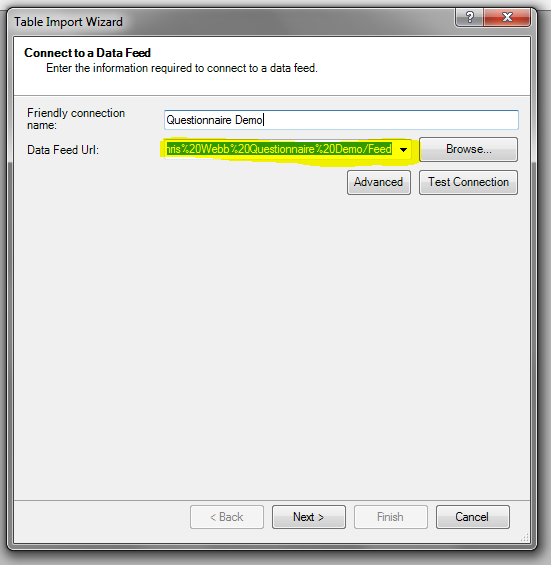 Incidentally, wouldn’t it be cool if the Excel web app had the ability to consume OData feeds too? That way everything you just demo’d could live completely in the cloud – no software install required. Very cool. Indeed, and I’d also like desktop Excel to do the same thing. I assume that once SSAS-in-the-cloud comes along we’ll see the Excel Web App improve its functionality in the area of consuming data from other web-based data sources.